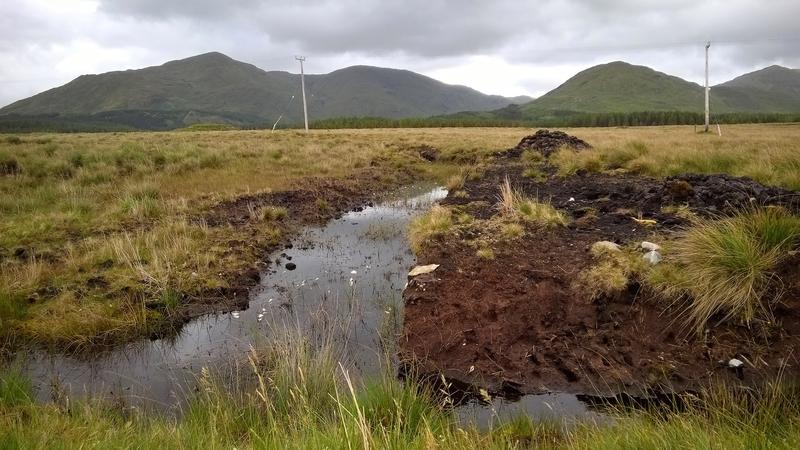 A peat bog is a common sight in this part of Ireland. The peat (also called “turf”) is cut up into bricks and dried to be used as a fuel source. You can see a pile of the bricks in the midground. There are also white tufts of bog cotton, which has various uses. The Earth provides so much for us in many ways.